It's not another casualty due to a big-box store. 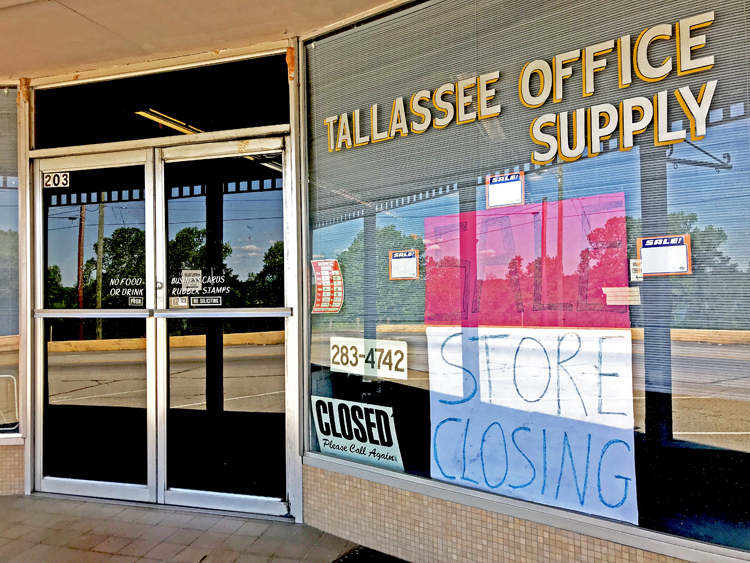 Tallassee Office and School Supply withstood the Walmart boom unlike many small-town mom and pop stores. David Hester has closed the downtown institution because of health reasons. Hester and his wife Karen purchased Tallassee Office and School Supply in 2005. "I was in the hospital a year ago for some strange infection in my intestines that I haven't been able to really get over," Hester said. "The doctor now says I have celiac disease. He said it was the worst he's seen in his career." Hester said he was advised by his doctor to find a healthier environment because of his condition, hence the shop has been shut down. 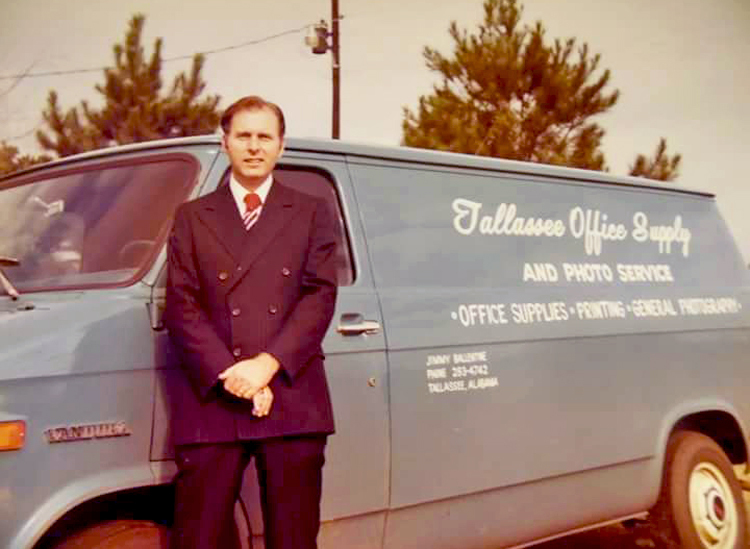 Tallassee Office and School Supply has been a mainstay in Tallassee for teachers, students and business people since it was opened by Jimmy and Judy Ballentine in 1970. "We started the original business in our back yard garage on Asbury Road," Judy recalled. "Jimmy worked at the Tallassee Tribune for several years before going into business for himself." Jimmy spent years in the photography business in Tallassee. The origins started with Tallassee Office and School Supply. "After a few months in business, we purchased a van and added the "photo service" to the business including doing wedding pictures," Judy added. "Within a year the business was moved to an office at 15 Sistrunk Street in downtown. After about five years, Jimmy made the decision to sell the office supply and go into photography full time." In 1976, the Ballentines later sold the business to two local state auditors, Bobby Hardy and Hugh Bryant. Then Carolyn Carroll took over. Bob and Carolyn Jones bought the business in 1985 relocating the shop to Barnett Boulevard and running it for 20 years until selling to the Hesters in 2005.